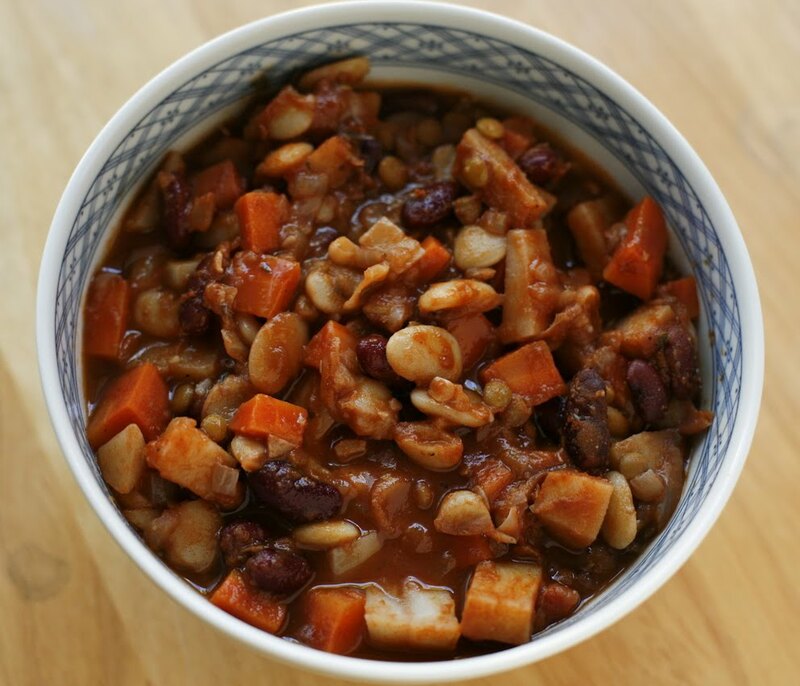 This has to be my favorite stew recipe and my favorite recipe from Veganomicon. I did not include the TVP chunks because I try to stay away from processed food as much as possible. I served it over brown rice with some freshly baked French rolls. The perfect meal for a cold winter night...comfort food to the max! I am assuming most of you own a copy of Veganomicon? If not, I urge you to run out and buy it. Even though it has been out for awhile, I have not come across a cookbook that I enjoy as much as I do this one. 1. 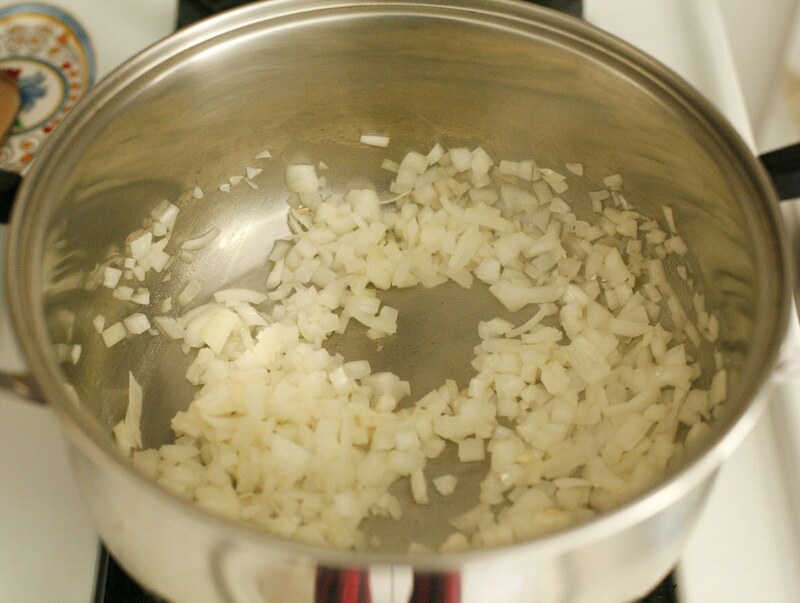 Preheat a large soup pot over medium heat. 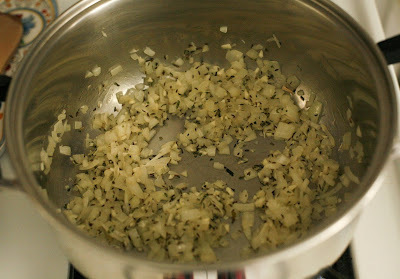 Saute the onions in the oil until translucent, about 5 to 7 minutes. 2. Add the garlic, tarragon, caraway seeds, salt and pepper. Saute until the garlic is fragrant, about a minute more. 3. 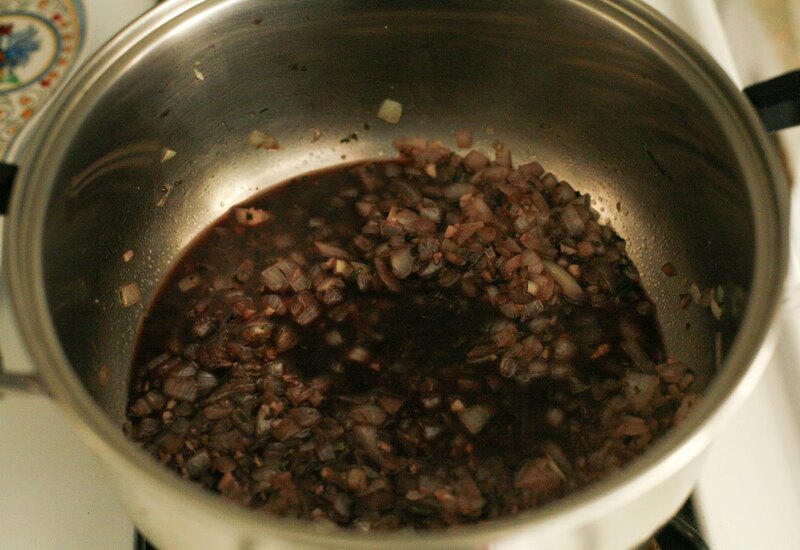 Deglaze the pot with the red wine. 4. Add the bay leaves, lentil, carrots, potatoes, tomato sauce, water, and TVP chunks. Mix together. 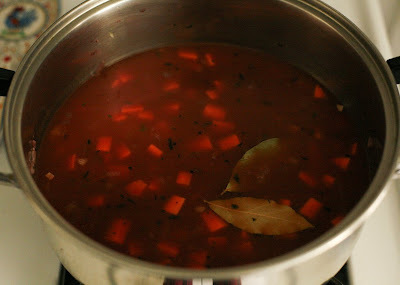 Cover and simmer for about 30 minutes, until the potatoes and carrots are tender. 5. Remove the bay leaves. Add the lima and kidney beans and cook until heated through. What a wonderful combination of herbs and ingredients. 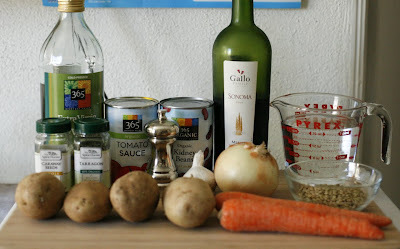 I love French lentils! I do have Veganomicon...thanks for the heads up about this recipe. what a great looking stew...especially on these cold days. That does look good. Veganomicon is one of my few vegan cookbooks, and I need to work my way through more of it. There's so much in it that it's good to get some direction. I have yet to purchase Veganomican (although I nearly bought it today). 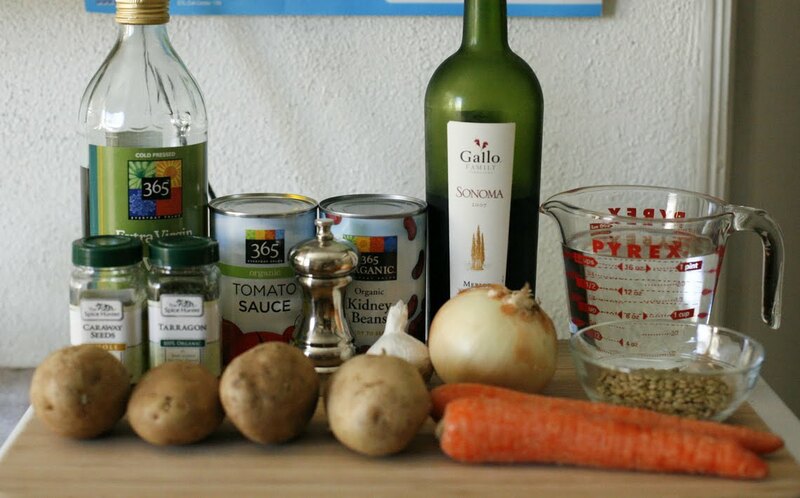 This stew looks awesome, love the chunky veggies. 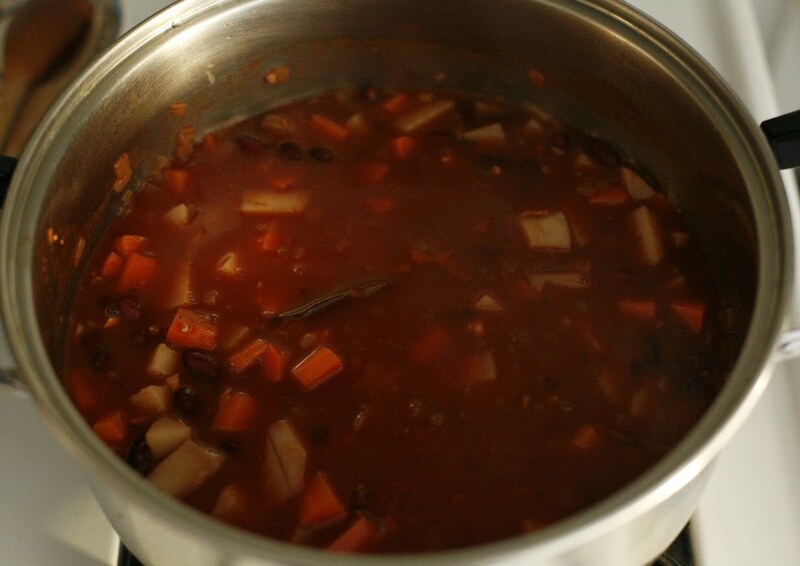 I love stew...and a vegan stew sounds really good too.